Platt Adams was born March 23, 1885 in Belleville. A member of the New York Athletic Club, he was an accomplished track and field athlete who specialized in the various jumping categories. He and his younger brother, Ben—also blessed with strong and springy legs—were good baseball players, too. 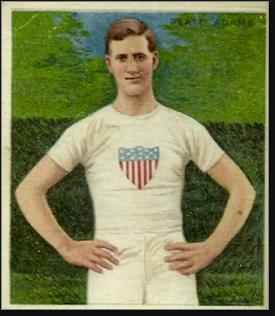 Platt won his first national title, in the long jump, at a 1907 AAU competition. He qualified for the 1908 Olympic team and competed in the standing high jump, long jump, triple jump and discus. He failed to medal in any of these events, but upon his return from London he began racking up one AAU title after another. Ben, five years young, often finished as runner-up. In 1912, both Adams brothers made the trip to the Summer Games in Stockholm. Platt won gold and Ben won silver in the standing high jump, which differed from the traditional high jump in that competitors could not take a running start and had to jump off both feet. The last time this event was held was in Stockholm that summer. The Adamses’ 1–2 finish was just the second in Olympic history for brothers, and remains the only time brothers have won gold and silver in a track and field event. Platt and Ben also competed in the standing long jump, with Platt taking silver and Ben taking bronze. Platt also finished fifth in the triple jump. The Adams brothers also suited up for Team USA in baseball, which was a demonstration sport that summer. 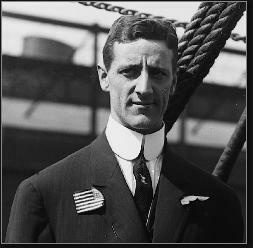 After his athletic career came to an end, Platt was elected to the New Jersey General Assembly. In 1923, he was appointed the state’s boxing inspector, and later became the chair of the Newark Track & Field Committee. Platt worked in Newark for Interchemical Corporation, an industrial research lab. Platt passed away in 1961 at his summer home in Normandy Beach. His brother died less than three weeks later, in Neptune.